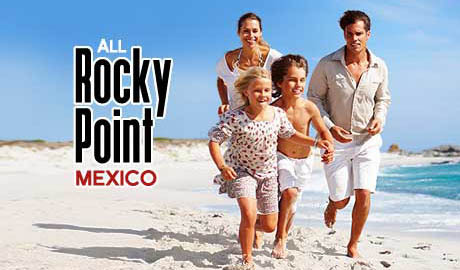 The list of things to do, see, and experience in Rocky Point are endless. 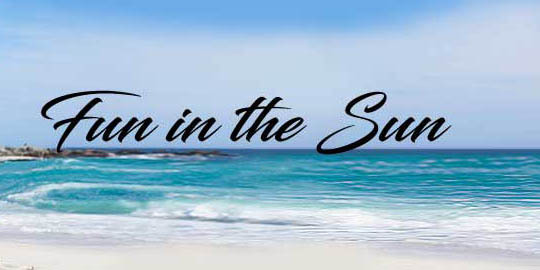 Whether you are vacationing in Rocky Point or purchasing a second home here, there is so much adventure to enjoy here. Regardless of season, there is a point of interest to keep your day as active, or as inactive, as you like. Mild weather makes most of the year comfortable for outdoor activities. Average high temperatures in the heat of summer are around 95° and the average lows in colder times in winter tend to range just above freezing. So with the exception of a few months per it's a great place to play golf, ride quads and ATVs, walk the beach, swim, go boating, ride jet skis, go fishing and much more. If you have a yearning for good Mexican food, Rocky Point has endless options. Choose from street taco vendors, sidewalk cafes, restaurants, resort eateries and upscale dining. This is a great town for eating out! Lay in the sun, play in the water, run, picnic, rent jet skis, play games, go fishing from shore, collect shells, or simply go for a relaxing walk on the beach to enjoy the views of the Sea Of Cortez. Three golf courses await you while in Rocky Point. The Links at Las Palomas Beach & Golf Resort, Vidanta Golf Puerto Peñasco and The Club at Laguna del Mar all make golfers feel right at home. Be active. Rent an ATC, a side by side, a quad, a jet ski, bicycles, scuba or snorkeling gear, a boat, or take a zip line ride. Get out and enjoy the active lifestyle in this seaside paradise. A great way to finish off the day is relaxing or dancing with friends and loved ones. There are plenty of pubs, bars, night clubs, sports bars and dancing options around town. Do some shopping - there are lots of options. As you stroll the fish market area, downtown, "Rodeo Drive", areas with dining and clubs, as well as along the beach, you'll find plenty of arts and crafts from area artisans.